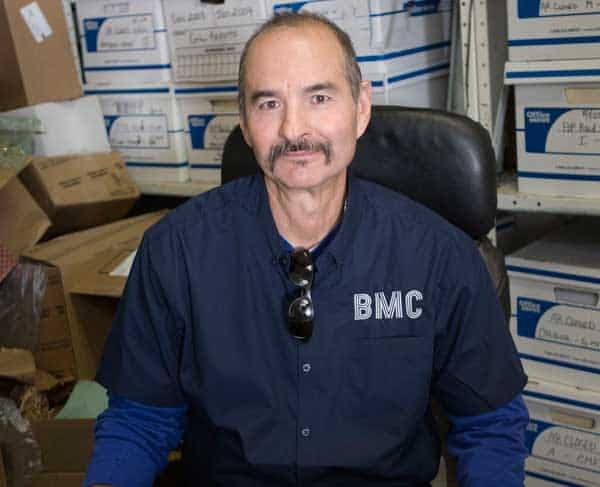 BMC, Inc. is proud to offer one of the largest selection of products for digital document management and automation in Southern California. We specialize in printers, multifunction printers (MFPs), copiers, scanners, presentation devices, Skywell Water Makers, and office automation solutions. But we are more than an equipment vendor. We want to be sure that when we provide you with a solution, it is the right one for you and your organization. We pride ourselves on spending the time to understand precisely the issues, needs, and challenges you are facing. Whether you represent an entire business, division, branch office, department, educational institution, hospital, government institution, home-based business, or anything in between, we can design a perfect solution for your situation. Offices today have a huge range of choices when it comes to creating documents, copying, printing, or scanning. With so many choices, it can be challenging to pick the right equipment. Do you need color printing or black and white? Do you need wide format printing or will you be printing on letter and legal sheets? Do standalone, single-function devices serve your needs best or do you need the features of Multi-Function Printers (MFPs)? Will these devices serve those in the immediate office area or also remote users across the network? BMC makes answering these and other complex questions easy with our highly trained and experienced staff and premier products from companies like Sharp, HP, and Lexmark. 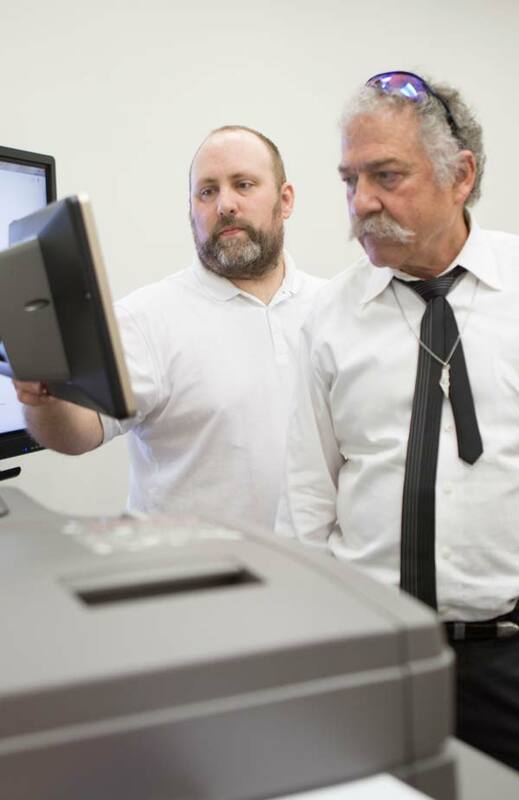 Learn more about Copiers, MFPs, Printers & Scanners. We have presentation devices for every application. Professional displays are more than regular computer monitors because they are specially engineered for the continual use of business display applications. They are offered in a wide range of sizes and varying capabilities, including high-impact displays for digital signage and menus, to state-of-the-art ultra-narrow bezel video walls for a stunning display of color and impact. Whatever your application, our Sharp commercial and professional displays help you communicate, collaborate and disseminate information brilliantly. Or you may be looking for something more interactive. More than a typical interactive whiteboard, Sharp’s Interactive Displays, the AQUOS BOARDs, are designed for smooth and effortless communication in front of one person, a small group, a room-sized audience, and even remote viewers. Highly responsive touch pens allow several people to write on the same touch screen at the same time, or you can draw and control with your fingertips. 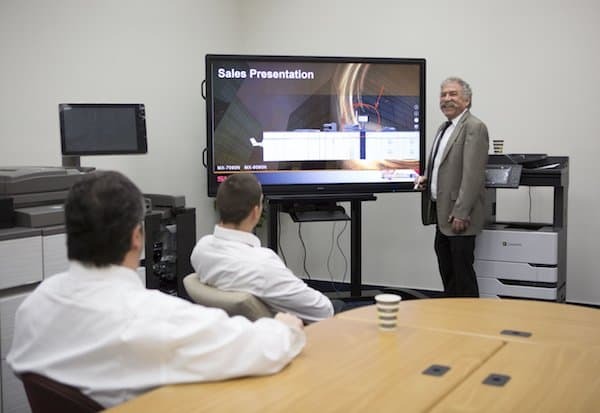 SHARP Display Connect software enables multifaceted wireless communication, instantly broadcasting the presentation to PCs, tablets, and smartphones. Perfect for the office boardroom or the classroom, Sharp changes the way you communicate. BMC offers solutions for every situation and will work with you to design and deliver the presentation capabilities that meet your every need. Call us today, or read more about Sharp Professional and Interactive Displays here. Most offices face the need to provide quality water for both employees and guests. They often first think of providing bottled water in 5-gallon jugs from a water delivery service, or single-use bottles of water. Both solutions are costly and bad for the environment. And some companies provide only tap water, which can be impure and unsafe to drink. That’s why Sharp created a solution that generates the purest water available from your office air, the Skywell Water Maker. This remarkable new technology takes the humidity already present in your office air and produces nearly 3 gallons of pure water each day, enough to support 12 - 15 people...all at a cost comparable to delivered jugs (but without the heavy lifting). Let BMC’s experts work with you to show you how your own Skywell can make a difference in the quality and cost of your office’s drinking water while helping the environment at the same time. Learn more about the Skywell Water Maker. Today’s connected workforce thrives with a connected document management solution. 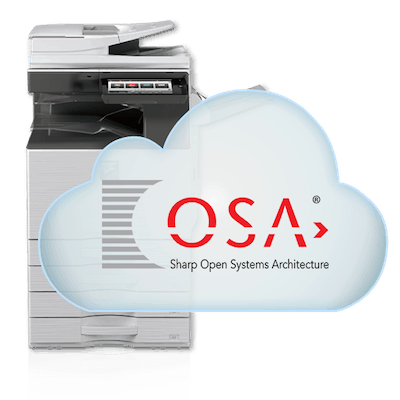 Offering a suite of apps and connectors, the Sharp Office Applications are exactly the tools you need to provide exceptional support to your workforce when managing the document production, communication, sharing, and storage needs of your office. Integrating copiers, printers, scanners, MFPs, and related equipment with electronic communication and storage options is a specialty for BMC. And, the integration is designed to conform to your IT department’s security policies today and in the future. Contact BMC today to get more information on how your company and employees can benefit from our advanced copiers, MFPs, printers and scanners, or call 818-787-2622. If you prefer, click on the solution links to learn more about individual offerings.